There is no doubt that Dark Matter is one of the most mysterious constituents of our universe, with researchers trying to discover physical proof of it to match our mathematical models of space. A new research paper has proposed that adding a bit of dark matter to a supermassive black hole might result in one of the oddest objects in the cosmos - a wormhole. 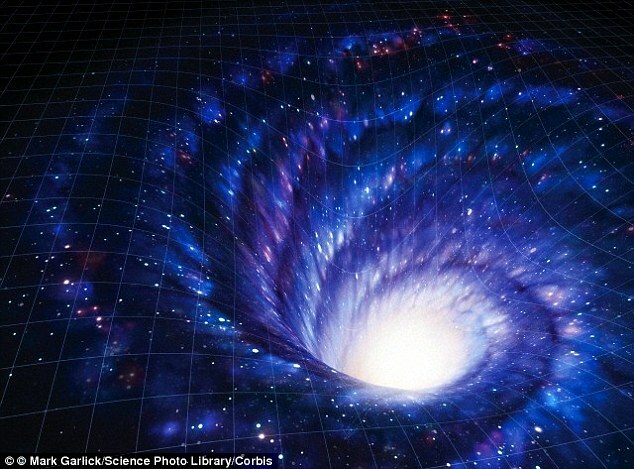 Wormholes are mostly shown in the stuff of science fiction, with theoretical physicists labelling them as a tunnel through space-time which could join two distant points in the universe. They have shaped the origin for tales of travelling unbelievable distances. Dr Konstantinos Dimopoulos, a physicist at the University of Lancaster, has proposed that at the center of some galaxies – where tightly packed gas and dust burns extremely brightly about a supermassive black hole – powerful magnetic fields which spread out from the massive jets of the black holes might affect the basic properties of dark matter. As the boiling galactic nucleus mixes, Dr Dimopoulos claim that one kind of dark matter in particular, made up of particles called axions, would be ultimately affected. These particular particles of antimatter are believed to occur all over the universe, interacting feebly with one another and might assist to create the structure of galaxies - like a thin vague fog which invades galaxies. Dr Dimopoulos clarified that when compressed inside the churning centre of a galaxy, the strong spinning magnetic fields could make it to act very strangely, and according to Motherboard, it would efficiently turn into to a state of negative energy. When this dark matter comes near to a supermassive black hole at center of the galaxy, all three essential components - the supermassive black hole, the strong magnetic fields from its jets, and the axionic dark matter - may combine to create a wormhole. Dr Dimopoulos also added that a supermassive black hole while turning into a stable wormhole would possibly have deep consequences on the way in which galaxies are developed and how they act. Unlike black holes, wormholes can hypothetically be one way or both ways, and each one of this could result in matter being extracted from one section of the universe into another. 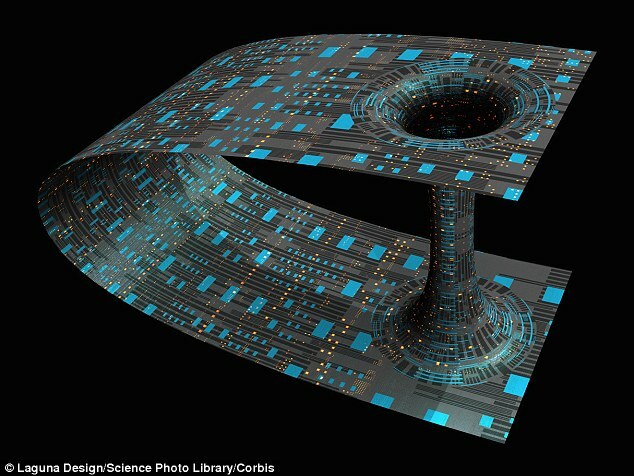 The idea of a Wormhole originated from Eisenstein's equations and there is a solid math to prove it's existence but in order to spot a wormhole in the universe requires the level of technology that we just don't have yet. The research is issued online in the journal ArXiv.